Are you looking for that perfect gift for a "techy" in your life?! (or even someone not so Techy) Well then Casepics.com has just what you need!
" As a family-owned business, our products are our reputation. We are committed to the highest quality cases at the lowest possible price. Rest assured your masterpiece is in good hands. Each day we make our hobby...your business! Whether you are an individual or a corporation, Casepics.com knows how important it is to be unique and stand out from the crowd." 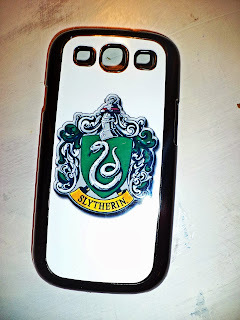 I was given a chance to pick and totally customize a case of my choice from Casepics.com and once I found out I knew I'd be making one for my sister-inlaw, she is my one go-to gadget girl who is always on the look out for a totally unique and quality product for all her gadgets! 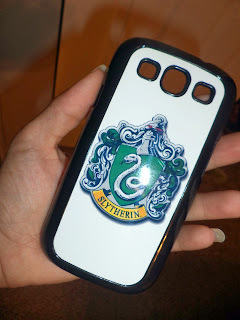 So i headed over to Casepics.com and knew right away what I was putting on my Nerdy sister-inlaw's case, a Harry Potter-ish design, she has been on the look out for a case for her phone with this design and couldn't find it anywhere, so why not customize it!! The creating process itself was super easy, select device type (they have cases for iphone 4 iphone5, ipads, and galaxy s3) then upload your image and it's simple as that, you can position it etc, but honestly one of the simplest "customizers" I've ever used online! These cases not only protect your device from scratches, dirt and bumps but also allow you to show your personality, with your own unique design!The Images are printed on a pure white metal plate with high quality heat transfer inks. This process provides a beautiful glossy and polished look! 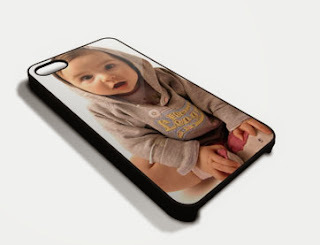 These Cases are made from a tough hard plastic polymer in very slim and stylish shape. Overall I am very Pleased with Casepics.com and If you are looking for a great gift for someone with gadgets you couldn't go wrong with a custom case!! Want to Win a Case from Casepics.com? I would put a picture of my cat on there. Crazy cat lady!